When we volunteer, we are each trying to satisfy the needs of our heart, mind, body and soul in a unique way. Each of us will then seek different things from participation in LSN. 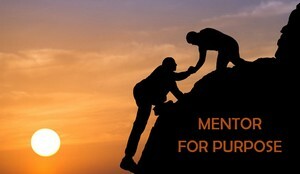 Purpose…discover and fulfill personal purpose and goals. There are various levels of membership and access to the toolbox, all are free. Public. There are various resources available including a Blog, Facebook and Twitter and most of the Life Skills wiki. No registration is required. Access to some content is restricted. Friend. This adds some “premium” content to the Life Skills Wiki and other Resources which are being added to this site (watch for the green-font links). A simple registration is required which gives you this access as well as a monthly newsletter. Member. Members are those volunteers or social service professionals that are doing some type of capability-building service in the Northern Kentucky/Cincinnati area. See additional details for our Operating Model at this link. We “connect” people to deeper service…service professional-to-professional and volunteer-to-professional or organization. Tools and coaching are available to people and organizations to solve real-life problems and serve to our potential. LSN is the “go to” organization in Greater Cincinnati for life skills and mentoring solutions. Network members share their time and talent with each other and the community. We exist to build capability in people struggling with life (the poor, debt burdened, unemployed, young and old) AND the volunteers AND the organizations serving them. Your volunteer experience will be richer because of your participation with the Network. You become a “skill builder” and your community becomes a better place to live. Relationship building between non-profit organizations and high-level volunteers will strengthen capabilities in both. We equip people with new, stronger, life-long skills (teach people to fish). We offer hope and prosperity (there are better days ahead). We trust (it’s private, you can share). We are humble (it’s not about ego). We grow as we serve (it’s two-way). LSN does not have a physical address but we are fortunate to have a friend and partner in the Life Learning Center where we spend a lot of time. LSN does not do direct service. Each volunteer selects their own organizations for whom they serve. We are not a 501c3 because we are money-less. We are not a religious organization but many members are faith-driven (non-denominational).